The tower of the Holy Cross Church (Crkva sv. 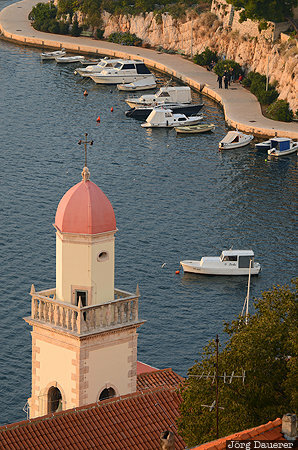 Kri) in ibenik and the coast of the Mediterranean sea in the background. ibenik is in ibensko-Kninska in the west of Croatia. This photo was taken in the afternoon of a cloudy day in November of 2014. This photo was taken with a digital camera.